Well, it’s that time of year again. It has been an interesting year for HST fans, with a few books and a film, the TV thing on Starz, and work being done on the film The Rum Diary. We all raise a glass…. 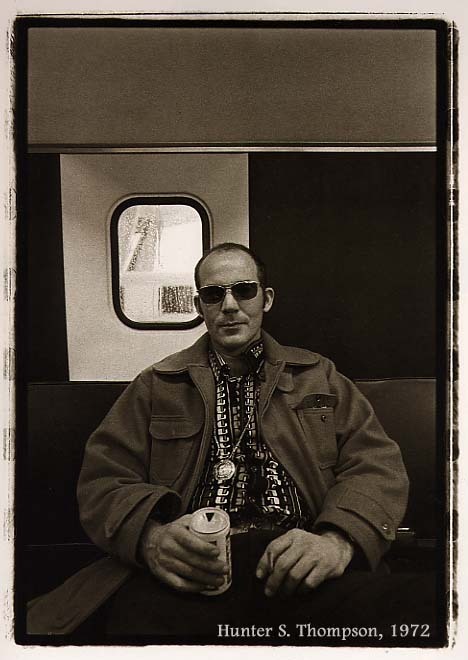 Today July 18th is Hunter S. Thompson’s birthday. He would have been 71. Now everybody knows that Hunter liked to have a good time so lets just do that today and celebrate the man – he would have wanted to hear ice clinking in glasses and the sound of people having FUN!